CIBC (TSX, NYSE: CM), is a leading Canadian-based global financial institution with a market capitalization of $40 billion and a Basel III Common Equity Tier 1 (CET1) ratio of 10.8%. Through three main businesses—Retail and Business Banking, Wealth Management, and CIBC Capital Markets —we provide a full range of financial products and services to nearly 11 million individual, small business, commercial, corporate and institutional clients in Canada and around the world. Within CIBC Capital Markets, our Alternate Solutions Group leverages capital markets trading technology to deliver customized, innovative products and services at the forefront of the market. Our seasoned professionals partner with key corporations to provide market-differentiating services and net new revenue-generating opportunities with scalability across distribution channels. 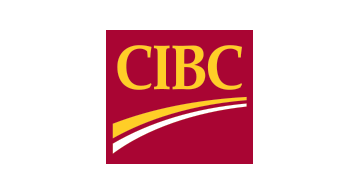 CIBC is a 2014 & 2015 Greenwich Quality Leader in Canadian Foreign Exchange Services (Greenwich Associates Global Foreign Exchange Services Study, 2013 & 2014), and ranked as strongest publicly traded bank in Canada – and the only North American bank in the ranking for the last five years (Bloomberg Markets, 2015).